Scherezade Garcia is an interdisciplinary visual artist born in Santo Domingo, Dominican Republic and based in New York. 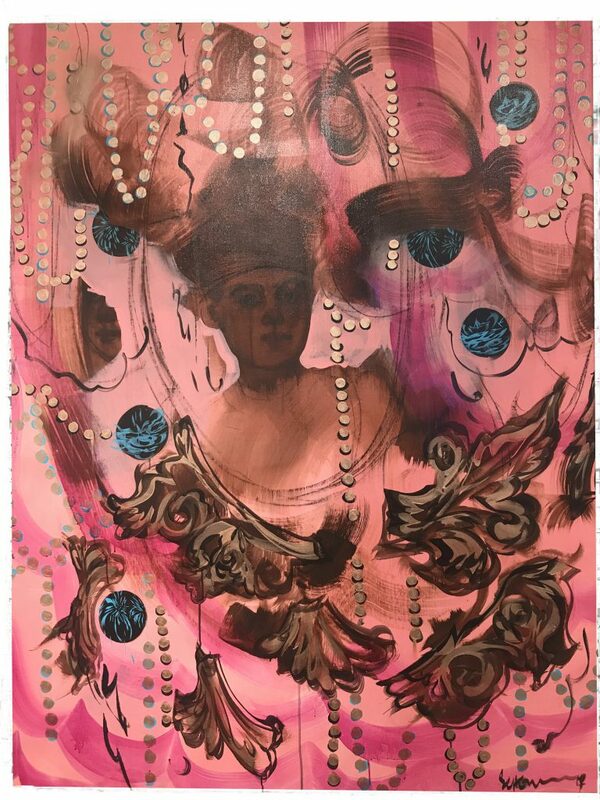 In her work she addresses contemporary allegories of history and processes of colonization and politics, which frequently evoke memories of faraway home and the hopes and dreams that accompany planting roots in a new land. 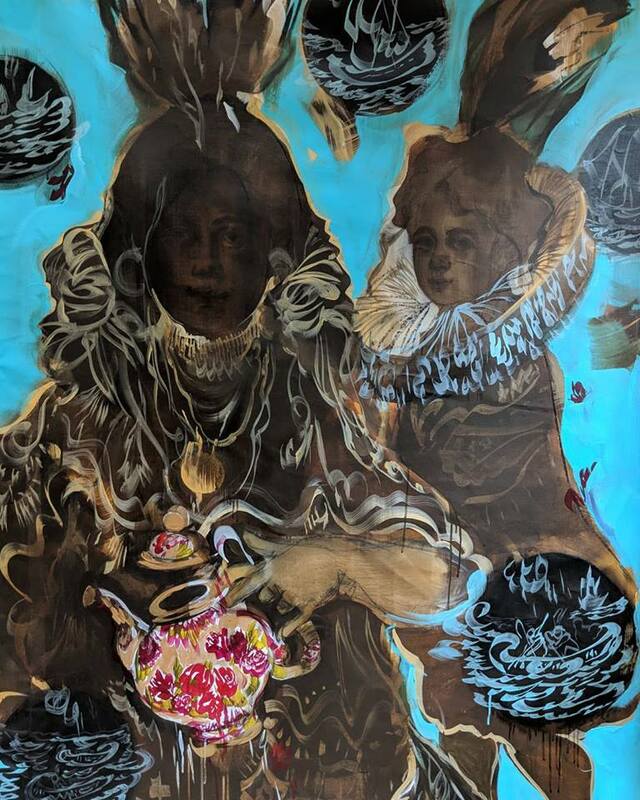 By engaging collective and ancestral memory in her public intervention and studio-based practice, she examines quasi-mythical portraits of migration and cultural colonization. Garcia holds an AAS from Altos de Chavón School of Design, a BFA from Parsons-The New School and an MFA from the City College of New York. 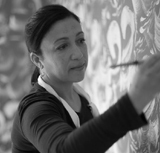 She is the recipient of a 2015 Joan Mitchell Foundation grant. She is a co-founder of the Dominican York ProyectoGráfica and sits on the Advisory Board of No Longer Empty. She has participated in the S-Files Biennial, the IV Caribbean Biennial, the Havana Biennial and other international venues. Garcia has exhibited widely with projects such as Super Tropics, Paradise Redefined, Theories of Freedom, This Side of Paradise-No Longer Empty, Souvenir, Stories of Fallen Angels, Tales of Freedom and others. 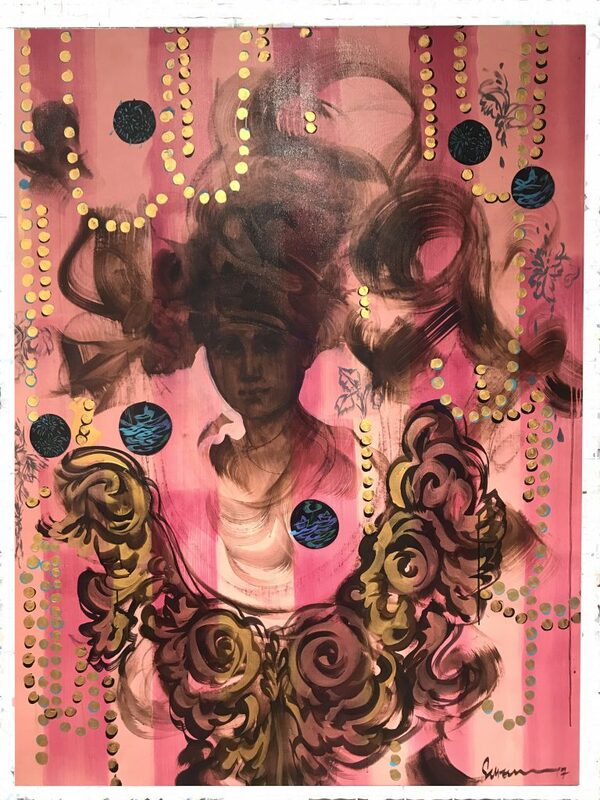 Her work is in the permanent collections of the Smithsonian American Art Museum, El Museo del Barrio, The Housatonic Museum, Museo de Arte Moderno de Santo Domingo and private collections. Her personal papers are in the collection of the Archives of American Art at the Smithsonian Institution. Her latest public commission by Columbia University, The Liquid Highway is on view until June 2016 at Miller Theater. 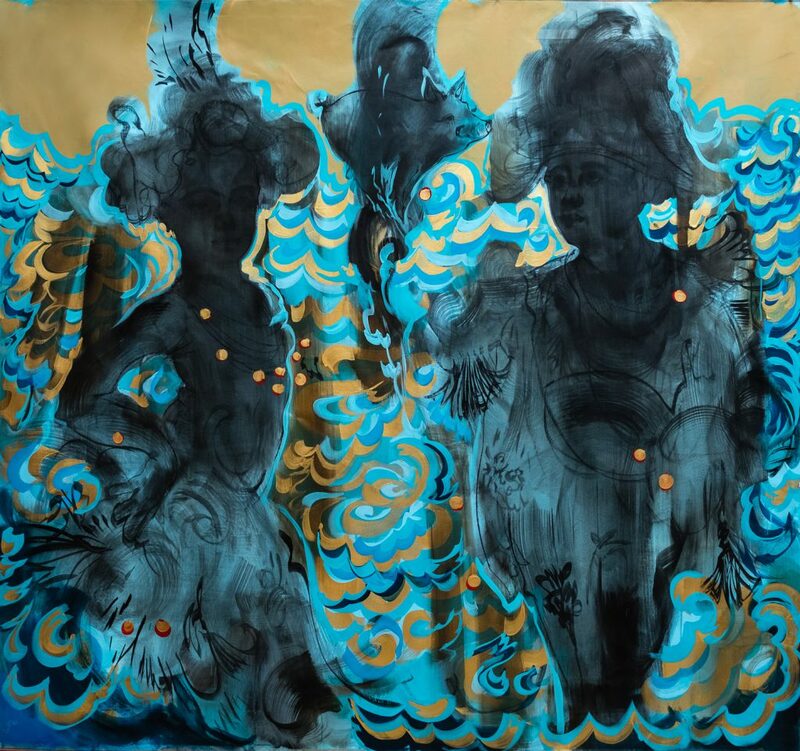 Garcia is currently represented by Lyle O Reitzel Gallery (Santo Domingo and New York). She is a faculty member of the Parsons School of Design in New York. My work inhabits a baroque universe of different worlds of aesthetics planes. Through my art works, I become a storyteller. My visual narratives generate energy, alluding to the emotional physicality of art making; and there is the urgency of a concept to keep alive. The physical and emotional experience of drawing is essential to my art making process. Through my drawings, I create beauty with lines. The process of drawing gives rise to visual codes which lead me to spontaneous compositions and intriguing meanings at once. I work in drawing, painting, installations, artists’ books, and video animation. Through these different media, I create contemporary allegories of history, colonization, and politics. My fascination with the social human experience since the “discovery” of America and its multifarious results is an endless source of inspiration and an essential part of my discourse. This fascination has led me to such themes as the causes and consequences of migration, the mestizo and barroquism as consequences of colonization, the inversion of traditional beliefs of salvation, and the questioning of religious and social uses of the notion of paradise. I create my allegorical narratives by appropriating and transforming symbols and objects that have included life jackets, inner tubes, suitcases, mattresses, tents, umbrellas, religious icons, and newspapers clippings.